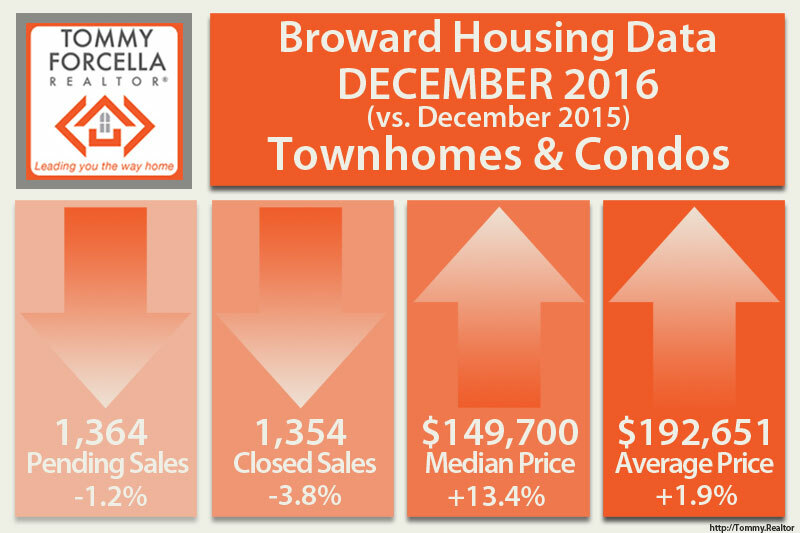 The 2016 housing market in Fort Lauderdale showed continued growth in both single-family and condominium/townhouse sales. The decreased inventory of both short-sale and foreclosure listings dragged down overall Pending & Closed Sales numbers. 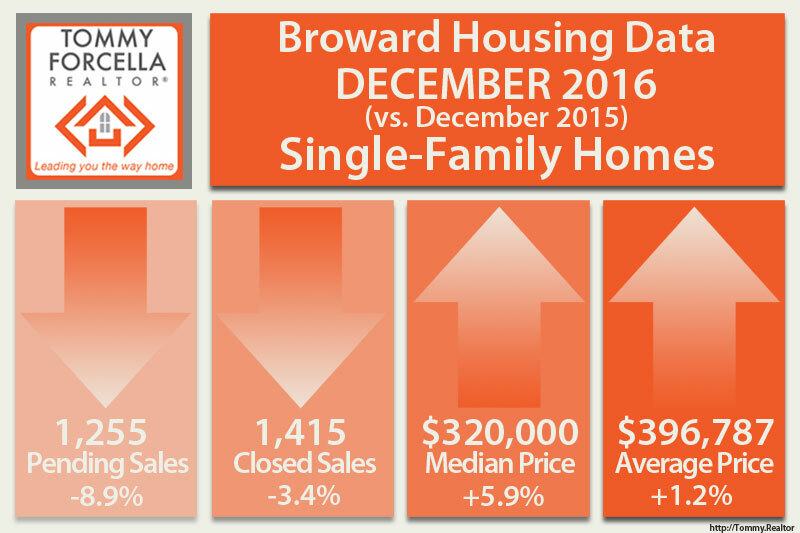 For single-family homes, excluding distressed properties from Closed Sales shows a 9.3% increase over December 2015. Inventory still continues to fall at a rate of 3-5% per month. 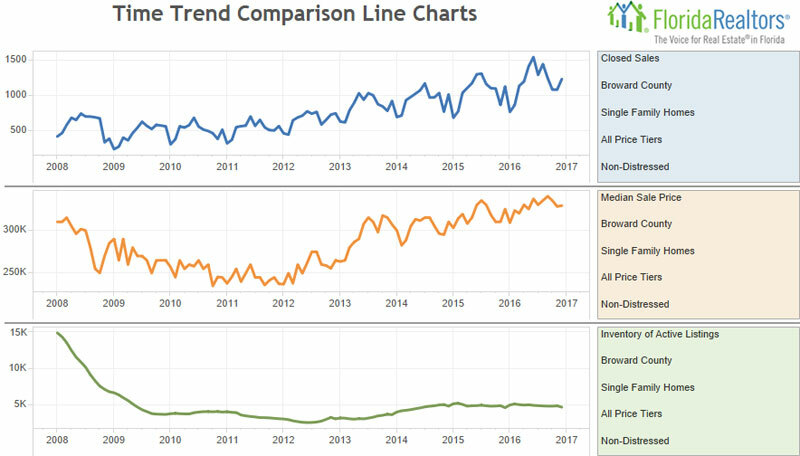 Lack of inventory is attributed to sellers fears or uncertainty in upgrading, reduction in distressed properties, and lack of homes suitable for first time home buyers. Homes that sold in December 2016 between $200,00 and $300,000 displayed the highest increase over 2015 at 12%. 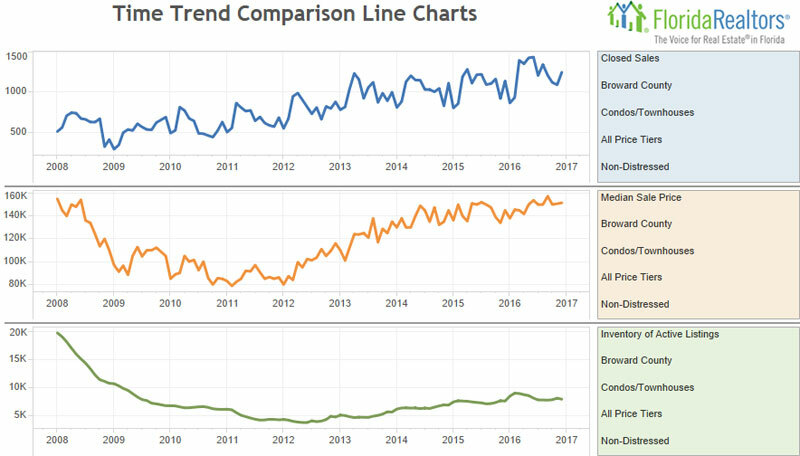 All sales of homes above and below that price range are lower than 2015 levels. The condominium and townhouse market shows great improvement, specifically in properties priced between $150,000 and $600,000. Units which sold under $100,000 show near 20% reductions, primarily due to the reduction in short-sales and foreclosure properties within the general inventory. Excluding short-sales and foreclosure properties from overall sales, shows an increase in closed sales of 9.4% over December 2015. Condos & townhouse which sold between $200,000 and $249,000 increased by 17.9%. Units priced between $249,000 and $299,000 increased by 23%. Condos sales between $300,000 and $600,000 increased by an average of 8%. Higher priced condo sales above $600,000 to the $1M mark dropped by 12.5%. Inventory levels for townhouses and condos are near 2015 levels with only 1% fewer active listings. Listings priced under $100,000 show the sharpest drop, as far less short-sales and foreclosures are part of inventory. There are 11.4% more active listings of condos and townhouses priced between $200,000 and $249,000, with 16% more put on the market in December 2016 over the previous year. Notes: Statistics for each month compiled from MLS feeds on the 15th day of the following month. Data released on Tuesday, January 24, 2017. Data revised on Monday, January 16, 2016.